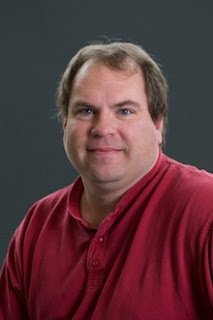 Idaho National Laboratory has selected Jeff Terry, associate professor of physics at Illinois Institute of Technology, as scientific director of the Advanced Test Reactor National Scientific User Facility. ATR NSUF is the nation's only designated nuclear energy user facility. The search for a new director began when Todd Allen stepped down in January to become INL's deputy director of science and technology. As scientific director, Terry will provide strategic direction for ATR NSUF, working closely with potential academic and industrial users. He will also serve as the program's lead representative to various stakeholder groups such as the DOE, university researchers and the ATR NSUF User Group. Terry has a Ph.D. in chemical physics from Stanford University and a B.S. in chemistry from the University of Chicago. For the past three years he has been the IIT's radioactive sample coordinator at Argonne National Laboratory's Advanced Photon Source, an ATR NSUF partner facility since 2009. Terry also worked at Los Alamos National Laboratory, where he received a Science and Technology Award for his work on the measurement of the electronic structure of plutonium. "ATR NSUF is the most unique user facility in the U.S.," Terry said. "The combination of the facilities at INL and at the partner facilities gives ATR NSUF great ability to solve materials challenges in nuclear energy generation." Terry began his joint appointment position Aug. 5 and has been splitting his time between ATR NSUF and his faculty responsibilities at IIT. Since its designation as a National Scientific User Facility in 2007, ATR NSUF has been awarded 72 research experiments involving 20 universities and four other national laboratories. To learn more, visit the ATR NSUF website at http://atrnsuf.inl.gov.